As the days become shorter, the baking heat of Leo fades, as the Earth prepares for another seasonal change. 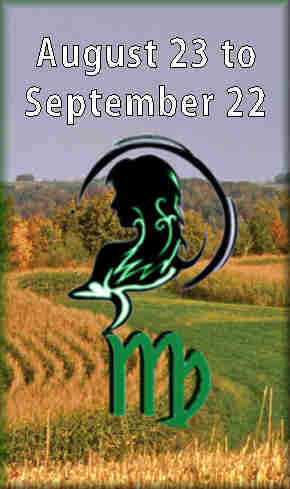 In the season of the harvest, a Virgo maiden stands in the field, holding Nature’s harvest in her hand. This earthy maiden senses that critical seasonal changes are coming—and she knows it is time to gather in the physical substance, so that she can serve others and prepare for the winter months ahead. With this mental orientation, this maiden shares an inseparable affinity with Nature—and therefore, also with the material resources and other people in her life. These instincts produce the first act of selfless service—the pure (virginal) offering of love to another! When your Virgo friends believe in your creative vision, they will immediately offer their service. Soon they will be on task, using reasoning and practical suggestions to contribute to your treasured project. Also, they may tell you that your plans will only work—if you reward all participants for the services that they give. Follow those instructions and your venture will continue to grow beyond your wildest expectation! Astrologically, the winged messages of Mercury are the thoughts that we receive in any attempted analysis. In masculine Mercury-ruled Gemini, the Twins dart off in two directions—chasing an expanding diversity of data! In contrast, femininely polarized Virgo reduces the clutter by sorting and breaking the information into into smaller, usable piles. Only then, can they be re-assembled into new workable physical wholes. This gift for “dealing with details” explains why so many people in the health and engineering fields are been in this season of the harvest. Once again, the energies turn within, as Virgo attempts to digest and critique Leo’s flamboyant visions. This digestive process is centered in the stomach, the part of the body ruled by Virgo. As Virgos analyze the work at hand and offer their service, they recognize the imperfections in their surroundings—and this brings a lot of worry! This nervous nature is amplified by the twitching and shivering energy of Mutable Earth. It can also be seen in the mercuric hands that hover close to Virgo’s body—seemingly to protect the receding “virginal parts”. (Note: With the expansive Mercury ruled sign of Gemini, the hands tend to fly about at some distance from the body). All of these mental “gut feelings” are concentrated in Virgo’s solar plexus (the part where a majority of the body’s sensory nerves are gathered). This explains why the protruding tummy draws the midsections of Virgo to the front. All of the Moons of these Virgo Suns are also in the element of Earth. Therefore, their reactive Lunar natures are similar in tone to their Earthy Suns. Any variation from these earthy luminaries can then be attributed to their Ascendants, since it highly affects the structure of their appearances and the mask they present to the world. The ladies here appear to be more expansive and outward, thanks to their positively charged Ascendants. With an Aquarius Ascendant, LeAnn Rimes has an other-worldly appearance, suggesting that she is floating in the clouds some distance from the Earth. This Fixed Air Rising Sign gives her a large cubical head, square cheekbones and chin, and (unlike most Virgos) a short and stubby nose. Note how the large eyelids pull sharply down on the outside, to seemingly focus her eyes on some distant point. Her earthy Capricorn Moon accounts for the tenacious drive and discipline that helped her establish her singing career. Jane Curtain‘s Sagittarius Ascendant certainly matches the persona that she presents to the world. When the nick-picky qualities of her Sun penetrate the shield of this flammable Mutable-Fire mask, the comedic possibilities explode. Furthermore, as we saw in Third Rock From The Sun, the comedy becomes surreal, when these unbridled energies are countered by the inflexible emotional reactions of her Taurus Moon. With this Centaur Ascendant, Jane is given a sturdy jaw, a long neck and a set of horse-like eyes that appear to sweep upward, as they twist back to the sides of the face. With their Suns, Moons and Ascendants in passive signs, our male celebrities appear distinctly restrained and less excitable. Dr. Phil McGraw‘s extremely analytical solar light is soothed by his Pisces Ascendant. This Mutable Water accounts for his tendency to “waver and oscillate” as he expresses his beliefs. Like Jane, he has a stubborn and fixed Taurus Moon and this accounts for his determination to “keep things in control”. Unlike Jane, Phil’s mutable Ascendant is in water, not fire. He has few fiery expressions. When they appear, they are quickly doused or smothered. Sean Connery is a triple Earth sign with a Virgo Sun and Moon and also a Capricorn Ascendant. That’s why he appears so incredibly grounded and impeccably dressed (double Virgo). 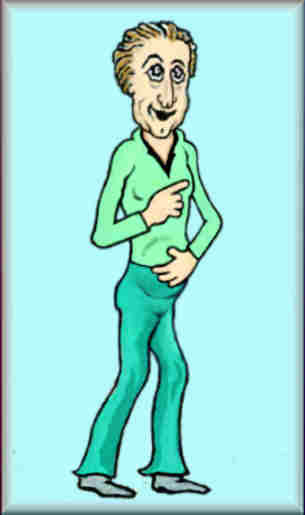 With the stoic demeanor of his Capricorn Ascendant, he rarely displays Virgo’s propensity to fuss and worry. Note how this Ascendant sets the wide cheekbones high on the face. This shortens and straightens his normally long and skewed Virgo features. All four celebrities, in their moments of solar self-expression, display the features demonstrated in our caricature. Watch for the spark in the crystal-like eyes, the fingers that point and count and how the facial features are skewed—when the Mercury messenger arrives on the scene! When the season of the harvest comes to an end, the Virgo Sun crosses the equator on its’ journey to the south. At this point, the Equinoctial lights of Libra take us into the season of Fall. This movement into the other half of the year brings a “recognition of other”. It is the collaboration with others that moves the process forward—to complete a new array of wondrous solutions. 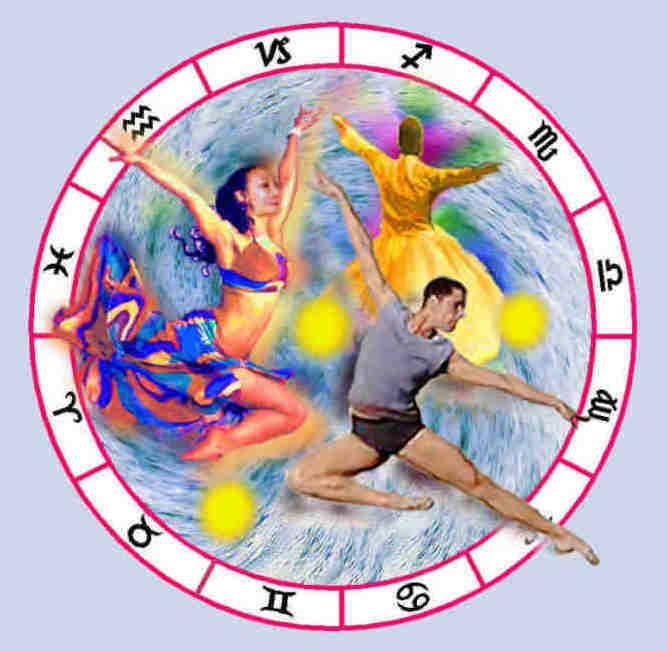 It all comes together in Pisces, the sign on the other side of the Zodiac wheel from Virgo. The process works perfectly and the worries go away, when Virgo reaffirms our faith in the workings of Mother Nature.